We don’t usually get in on the photoshop fun, but this one was too good to pass up. 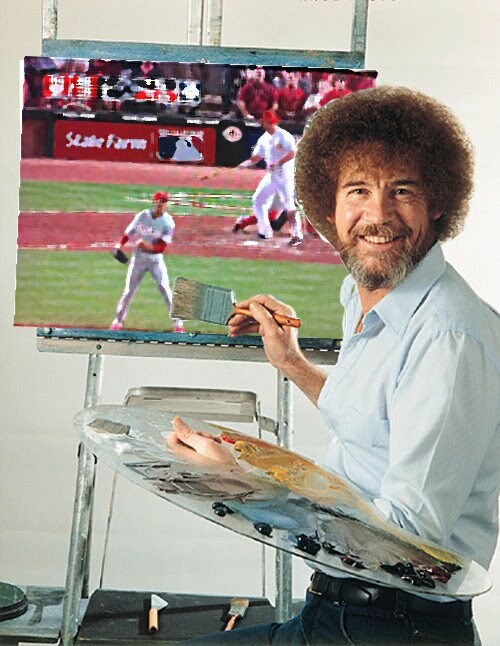 Bob Ross, in heaven, painting beautiful little portraits of the Phillies run to the World Series. This was put together by reader and good friend Brendan M. of West Chester. Fine Job by you, Sir.